The registration period is now open for the February 5, 2016 CCA exam(s). The first step, other than registering for the exam, would be to review the International and/or Wisconsin Performance Objectives. Performance Objectives outline all the potential subject matter areas that could be on an exam. Performance objectives are located on the CCA website under the Exam tab. You can also find information about an online international exam preparation course that starts Monday, October 19. If you are interested in taking the WI CCA exam, UW Extension has developed several resources that will help with preparation. 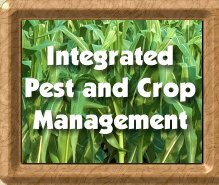 To view these resources, navigate to the Integrated Pest and Crop Management Website. Electronic publications that focus on nutrient, pest and crop management are located under the Publications tab. Additionally, over 70 YouTube instructional videos are available by clicking on the Video tab. Included under the “Crop Consultant Training Videos” playlist are over 50 videos created specifically for the Wisconsin CCA exam. Additional resources are available at these websites.